Every now and then you will hear of a Dimitry in St Petersburg or a Bantam in Florida, City fans who live their lives in far flung parts of the globe, but who stick nonetheless to their club, year on year. I thought the readers of Width of a Post might be interested to hear how we exiles cope with this strange half-life. I was born in Bradford, saw my first City game in the 1956-7 season (with my grandfather who had been a supporter since before 1911) and never missed a home game until I left Bradford at the age of 18 in 1966 – for good as it happened. I have lived in various countries at various times but married and made my home in Sussex, where we brought up our children. For 25 years I was able to read the newspapers, and watch Match of the Day. I always looked out for City, who virtually never made it on to TV in those years, but I never transferred my day-to-day allegiance to Brighton or Crystal Palace. I only ever got to see City when visiting my mother in Bradford, or maybe at best once a year at an away game in the south. I had become an absent supporter. And yet I have never stopped being a City supporter. For some years now I have being a paying season ticket holder, even though it is a rare season when I take in even one game. I see it as my way of supporting the club from afar, and a donation to help the club prosper. I have seen too many seasons where City could not be sure of survival to be able to take survival for granted. I missed much of the two Premiership years, as Sky had not taken off in Germany then; although these days I can watch as many as three or four live Premiership games a weekend, better than in the UK. However, what has changed the nature of my support is the internet. I subscribe to Player, so get live broadcasts of every City game, and can watch highlights a few hours later. This has brought me far closer to the club than I had been when living in Sussex in the seventies and eighties, although I am geographically far further away. I have only recently found Width of a Post, but this too has now become required reading. Thank you for this! I will now never live near enough to see City regularly, although another spell in the Premiership would bring me Sky coverage, which would be a real bonus. However, internet technology compensates in ways I couldn’t have dreamed of in the past. And in case you are wondering – yes I did fly over, three times in 2012/13, to see City’s amazing home game against Arsenal , and then both times at Wembley. When you’ve seen City losing to Workington or Barrow in the old Third Division North, you do appreciate moments like those. I think that your testimony demonstrates the extent to which the city of Bradford relies upon BCAFC to foster a favourable impression of the city and the extent to which it relies upon BCAFC for exiles to maintain an emotional link with Bradford. I live in Shipley and the only thing that brings me into Bradford is BCAFC. Sadly – and for reasons that do not need repeating – BCAFC remains the only emotional link that many people have with their home city. From New Zealand every Sunday morning at 03:00 I open the Argus site and follow the match cast. Having left Bradford aged 4 in 1965 I have managed to see my team live just 3 times. I was one of the fortunate ones that managed to obtain a ticket from the league cup final and made the 12,000 mile journey. The joy of sky showing the Leeds game was unbelievable. You can take the boy from Bradford but not Bradford from the boy. Always good to hear a voice from afar who quite rightly has never lost his allegiance with his hometown team. As a aside Adrian, your season ticket isn’t the one next to me in Midland Rd D block, row R, that is never used but never available to buy each season is it? No I’m in the main stand! There must be a few more of us. It does also give you more leg room, so enjoy it!! Loved reading this and as a supporter who never hardly misses a game home or away I just know that if I ever leave Bradford for foreign shores i’d be just like that described in the article. I can tell you Dmitry is planning a visit next spring if he gets his visa, his last visit included the Capital One Final and 3 league games. Also meet up with youngbill when he’s over from NZ and he was that little lad taken to VP to watch 3rd division north football in the 40’s/50’s. One thing I get from Bill is the deep rooted passion for his native Yorkshire and of course for Bradford City. I can’t ever imagine life without this football team and of course the family feeling we have for our club. Whether you are in Germany, Russia, USA, Oz or NZ that bond will never leave you. I have lived away from Bradford for 7 years but I follow everything that I can about Bradford City – even Claret & Banter and the often disgraceful T&A comments. BfB and now WOAP have become essential reading, as Adrian says, because your articles really bring things to life. Glad to hear that other people are the same as me. My girlfriend does not understand why I have to listen to the game every Saturday, but I would be an incomplete person without the Mighty Bantams. I have been to games in the Belgian premier league but I would say that the teams in that league range from high Championship to League 2 standard – all in one league. They also have an inexplicable play off for the league title and the promotion and relegation is an unusual one. The teams in the bottom 3 play the 3 teams from the top of the lower division to decide who ultimately stays in which division. Closer to BD8, one thing that could be addressed maybe with the supporters board (if anyone gets to speak to them) is that other club players have much longer highlights and in some instances full game recordings. Would be great if Bantams Player included more content. You pay about 45 pounds for it but one weekend when it wasn’t working (which happens quite regularly) I was able to listen to the game on the Pulse website for free so there is an question mark about whether it is worth it. I wonder if City could persuade more users to sign up for Bantams player (foreign and domestic) if they gave the whole thing a bit of a facelift and more features. They are also shooting themselves in the foot by posting player and staff interviews on youtube before they appear on Bantams player. Just one thing. 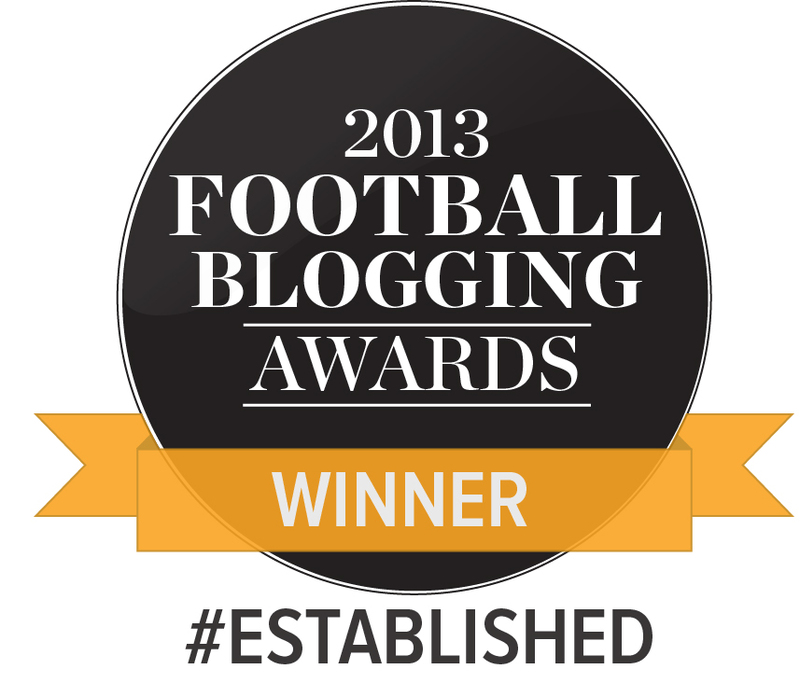 Have you considered a subscription to `City Gent` the award winning fanzine. We have over 250 subscribers and many are in far flung parts of the world. City Gent celebrates its 30th season this year so it must be doing something right. I am certain Mike Harrison would be pleased to add you to his subscriber list. We sell nearly 800 copies over a three match period, several times per season. Nearer home we have fans in London, Stafford, Edinburgh, Arnside, Bridlington, etc who are all welcome at Valley Parade. I moved from Bradford in 1967 joining the Royal Marines. After that I lived all over the place untill settling in South Carolina in 1990. I have followed the club my entire life and faithfully listen to the game through the internet subscription. I even got to watch the Leeds game on a Hispanic channel. My grandfather took me to the games from 5 years old and I remember the death warning if I ever told Grandma he was cursing a lot! Back then there was a lot to curse about! We might not live there and we might not buy season tickets but once a Bantam always a Bantam! Wonderful and heart-warming article! I’m currently away from the heartland, and understand exactly what it’s like to continue like normal (as best you can) in another time zone; counting the days until October, when we get to see the Bantams live on TV for two games on the bounce! Up the City! Can you really watch the games live? As in, see the game unfold on the screen. I’m desperate for this kind of medium, and would happily buy a subscription if this were possible. Radio is ok, but I find it hard to listen to a game live as opposed to watching it in action, and much prefer to follow the BBC vidiprinter in it’s stead! Any help here would be greatly appreciated! So interesting to read and thank’s to mention me. 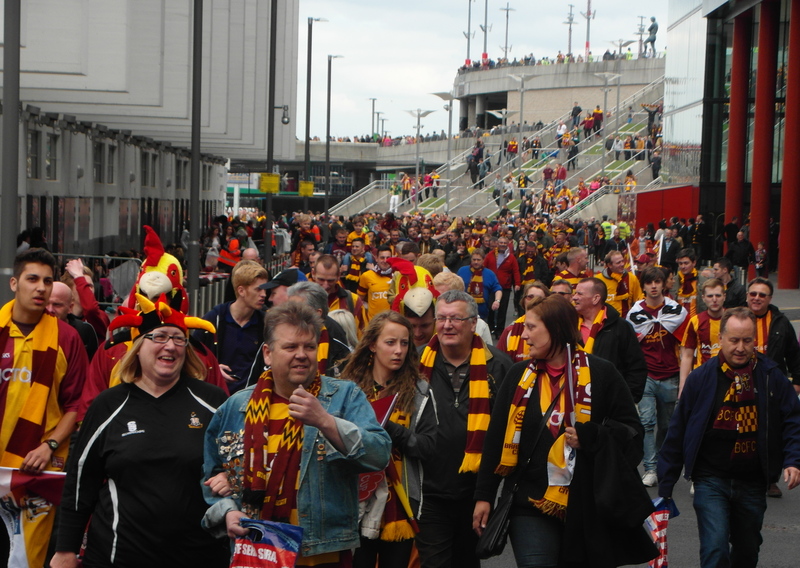 It can be great idea to come all together for every abroad Bradford City supporter, foreign born or Bradford born. We can organise it at the end of this season. And Internet really brings great possibility to follow beloved club. I’m sure that for every of us two TV games in october is a real joy.